Base floors do not always have the necessary characteristics, especially for concrete foundations in apartment buildings. But the wooden floors are not always smooth, therefore, before starting the flooring of the selected flooring, it is necessary to carry out a set of works on alignment. It is important to immediately determine what methods of leveling the floor of concrete or wood are most suitable. 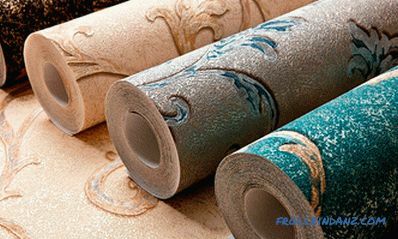 There are many such methods for concrete floors. It is possible to use not only traditional cement screeds, but also logs, bulk mixes, which allow to perform high-quality leveling. Not all methods can be applied to wooden floors. This is due to the characteristics of the base. For example, concrete pouring is not used, most often experts recommend to install leveling floors on logs. How to level a concrete floor? The plan for leveling the subfloor with plywood. In the first case, special dry cement-based mixtures are used, they are diluted with water. When performing the screed mixture is poured onto the base in small portions, it is easy to distribute over the surface. The result is a smooth and beautiful floor, no special effort is needed. During operation, use a special needle roller, which removes air bubbles from the filled mixture, simultaneously aligning it. The polymer floor is a slightly different method, which allows the foundation not only to be leveled, but also made clean. Today, manufacturers offer a large variety of options for such floors. They are distinguished by excellent qualities not only in leveling, but also in strength, durability, attractiveness. 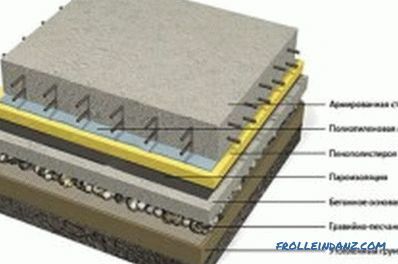 Cement screed is used only for concrete, it is not intended for wood. This is due to the fact that the weight of the screed is significant, and the wooden base, especially the dilapidated, can not withstand it. Preliminary preparation is being carried out. 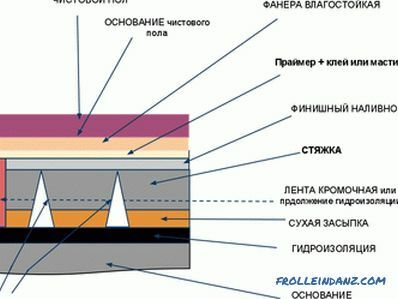 The base is inspected for the purpose of detecting cracks and other defects. The construction level is determined by the position of the finished floor, usually the height of the screed depends on the unevenness, inclination of the floor. Concrete leveling methods are most often acceptable. The solution can eliminate significant irregularities. But we must remember that the height of the ceiling will be hidden. A damping tape is laid around the perimeter of the room, after which the coating is completely filled with the mixture prepared in advance. To align the solution, the rule is used; you must follow the markings made in advance or special beacons. The device is a cement screed with claydite. After the solution is poured and distributed, it is necessary to leave it for full drying for 28 days . 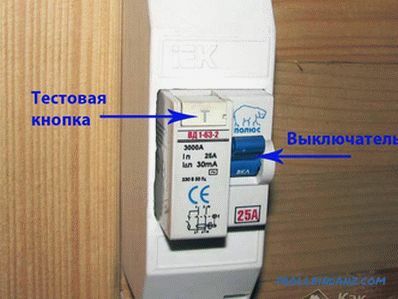 This is one of the main drawbacks, since this method is not always applicable in apartment conditions. During drying, it is important to ensure that the surface is not cracked. The advantages of the method are that it is possible to level the floors even if there are differences of 5 cm, which is quite a lot. To perform such work, it is best to invite a specialist, although this increases the already considerable cost of leveling. To ensure the best quality, experts advise the use of beacons. To do this, before pouring, special profiles and beacons in the form of piles of mortar with the required height are laid on the base of the floor. Their step is 60-80 cm, this is quite enough. Filling is carried out strictly at the beacons, the surface is perfectly flat, with lower labor costs. Filling is done from the far corner, you cannot walk on fresh cement, you need to smooth it out immediately. The device of a dry subfloor on logs on the floor slab. The work begins with the base of the concrete floor being inspected. If it is too wet, it takes time to dry. Next, a waterproofing layer is laid on the floor in the form of a polyethylene film. With the help of a building level and a ruler, a pencil on the walls is used for marking the future clean floor. It is necessary to take into account the height of the lag itself and the presence of a plywood base of a fair floor. Work begins with laying the lag on the floor in increments of 30-60 cm. 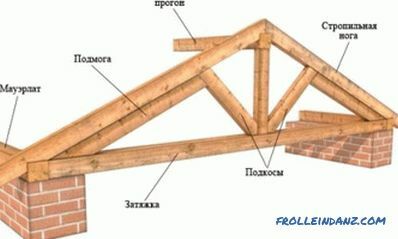 The direction is chosen in such a way that the lags provide the maximum strength of the base. It is recommended to start them along the width of the room. If there is a need for alignment, then pieces of plywood are enclosed under the logs, taking them to the required height level. When the entire system is ready, it is necessary to proceed to the floor warming. In this case, you can use mineral wool, which has optimal qualities and low cost. It is placed between the bars tightly, no gaps should not remain. Insulation fits flush with the top of the lag, he should not speak, but he also can not bend. Next begins leveling the floor with plywood. For this, plywood rectangles are fastened with screws to the logs in staggered order. 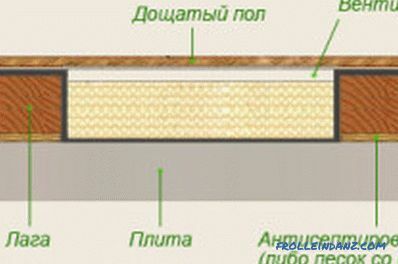 Between the individual elements it is necessary to leave a temperature gap of 3-5 mm, between the plywood skin and the wall - up to 10 mm. Screws sink into the tree, as protruding heads can damage the flooring. After work, the surface is ground, on this leveling the floor is over. The board floor has many advantages, but it is also harder to level than concrete. First you need to make sure that all the boards are strong, there are no traces of rot, cracks and other things. This is not all, usually the plank floor is already installed on the logs. We'll have to remove the skin boards in order to inspect the state of the lag, to determine the necessary level of leveling work. Floor plan on lags on the ground. If the plank covering is whole, then it should be removed carefully, since it can be used for subsequent sewing. The state of the lag is required to inspect carefully. If there are cracks, mold marks and other damages, then it is best to replace the wooden floor completely, i.e., perform a full set of its leveling. If the logs are smooth and dry, there are no signs of damage, horizontal position is necessary, then a layer of insulation can be poured between the logs and perform surface sewing with boards. 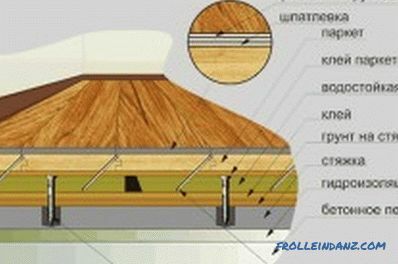 Alignment for laying laminate is carried out sheets of moisture-resistant plywood. This option is the easiest, it does not take much time. If the lags began to resemble an "accordion", they were led, then all the bars must be completely removed, and then proceeded to leveling. 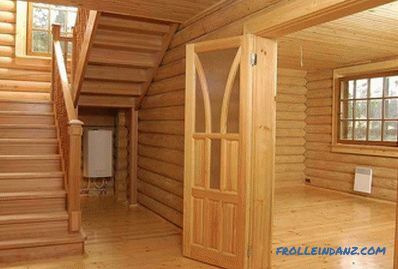 In this case, the wooden floor will settle on the logs. You can use the method of alignment plywood and special self-leveling system. Wooden bars are laid on the base. If there is a need to adjust their height, then this is done using pieces of plywood or wooden pegs, which are enclosed under the logs. 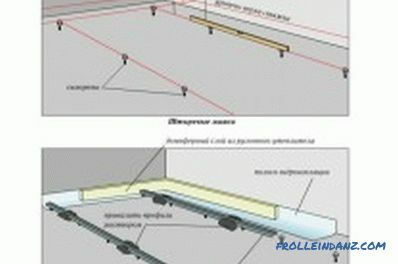 Step bars should be 30-60 cm, but it all depends on what kind of floor will be used. After the logs are mounted, you can warm the floor, for which a layer of expanded clay, ecowool is poured between the bars, or mineral wool is laid in slabs. The top is stitched with moisture-resistant plywood or wooden planks. The result is a smooth trim suitable for laying almost any type of coating. 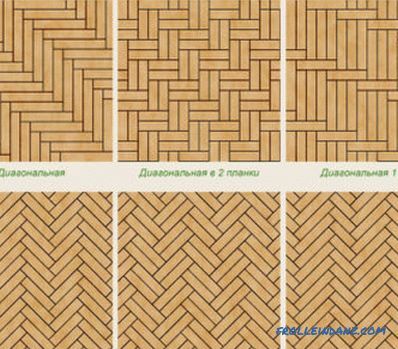 Plywood is best cut into small squares, rather than using a solid sheet, since it is this method that will ensure the best quality of the wooden floor. 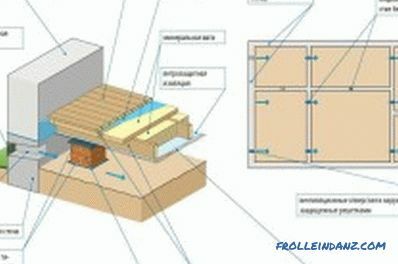 If the logs are whole, but the cladding boards are uneven, then other actions are performed. Experts advise to completely remove all the boards, inspect their condition. All rotten, cracked elements must be replaced with new ones. 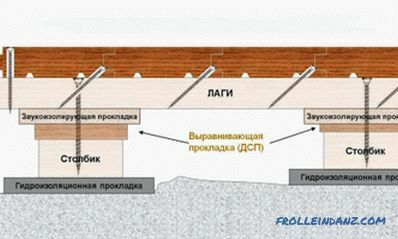 The horizontal level is checked by the construction level, if necessary, then alignment must be planned, i.e. 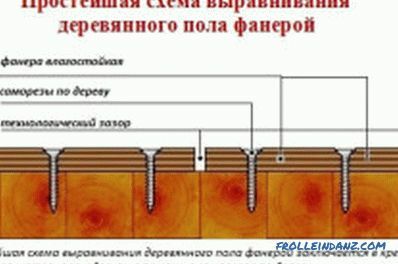 the use of plywood sheets for boards in the place where it is required. The boards for the wooden floor themselves must be fixed from the far corner. Before that, the floor can be insulated, for which mineral wool, expanded clay or cellulose insulation is used. The boards are knocked down with galvanized nails, hats should be embedded in the material so that they do not protrude. While working, it is important not to forget about the temperature gaps of a couple of millimeters, since the tree is highly susceptible to temperature, humidity differences, and this adversely affects the floor. On the sides of the cover is best to leave gaps, but more than between the individual boards. Leveling the floor is a crucial process, since it depends on the foundation how well the floor covering will be laid. Wood floor more demanding.It is necessary not only to align, but also carefully examine the condition of all the boards, if necessary, replace the damaged ones. Most often logs are used for wooden floors, and cement screed for concrete floors. Its cost is higher than that of lag, but the strength is higher.